A 5-1 thumping at Camp Nou has left Julen Lopetegui on the brink of the sack. Email “Ramos: Real Madrid players are with Lopetegui 'to the death'”. 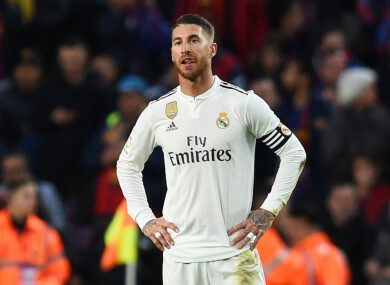 Feedback on “Ramos: Real Madrid players are with Lopetegui 'to the death'”.